This loose leaf lettuce variety has tender, oak leaf-shaped leaves that have crunchy stems and is quick to mature to a deep burgundy color. Plant the seed in the cool seasons and in full sun for the sweetest flavor and deepest color. Red Oak Leaf Lettuce is a loose leaf lettuce variety with tender, oak leaf-shaped leaves that have crunchy stems and is quick to mature to a deep burgundy color. 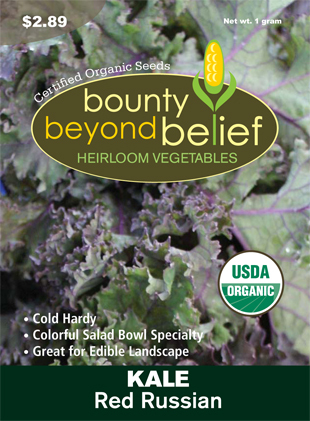 Plant the seed in the cool seasons and in full sun for the sweetest flavor and deepest color. Plant: Directly sow the seed into rich, moist soil as soon as it can be worked in the spring. Repeat at 2 week intervals until late spring. Sow seed again in the late summer and fall. Care: Water generously and fertilize when plants are 3″ (7.5 cm) tall. Provide light shade for the late spring and summer plantings. Harvest: Pick the individual leaves anytime as needed but before they reach the size of your hand, or cut the entire plant at ground level.